We are reckoned firm of this domain engaged in offering an enhanced quality Data Racks. Numbered U-space positions: Eliminates the pain involved in determining where to install rack-mount devices within a rack by labeling each vertical mounting rail with the actual U-height position. 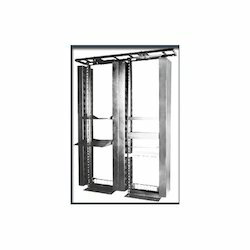 Avail our qualitative range of Frame Racks which are offered at optimum level. These are effective solution to panels and doors and are facilitated . Mostly customers preferred to purchase quality products, so we are involved in providing Card Frame Rack. - Flaunting angle: These are special reinforcements throughout the height profile to strengthen and prevent misalignment of the unit. 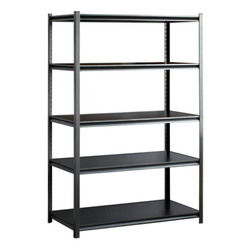 - Available in 42 U and 45 U height and width of 600 mm as flat pack rack.